Since the discovery of fire, man has endeavored to master the art of cooking meat using fire. Many adjustments and modifications have been made as we evolved over the years, taking us from open wood fires and wood fired pits, to charcoal grills, ceramic grills, offset smokers, and gas grills. Many of these products were created in an attempt to conquer the most important and elusive element of cooking: temperature control. Over half of Americans use gas grills exclusively and are willing to sacrifice flavor for convenience. Even most charcoal grillers own a gas grill for “quick” jobs. REC TEC Grills is bringing the art of grilling into the digital age with the advent of Smart Grill Technology™ and its proprietary temperature control algorithm. Now, backyard enthusiasts can create consistent results with the flavor of a real wood fire and the convenience that rivals gas grills. Several years ago, two friends decided that they would create the ultimate grill. First, they would conquer temperature control. Why should an indoor oven have better temperature control than a grill? From this, Smart Grill Technology™ was born. But converting technology from a gas oven to a gas grill was just the beginning... Why not conquer flavor too? So, Smart Grill Technology™ was used to control a real wood fire and was calibrated to produce accurate temperatures when using REC TEC Premium Hardwood Pellets. The final hurdle was quality. Both guys had owned “stainless steel” grills only to discover after a few years that the stainless steel was only cosmetic, and that the mild steel on the inside had rusted out. This is why every REC TEC wood pellet grill has a heavy gauge stainless steel fire pot that is built to last a lifetime. After many prototypes, the REC TEC grill was perfected and became the envy of neighbors everywhere. At first, neighbors would ask us to “REC TEC” their meat, then they started asking for their own REC TEC grill... Sales started from our garages, and then evolved to full production and our first retail location in Augusta, Georgia! 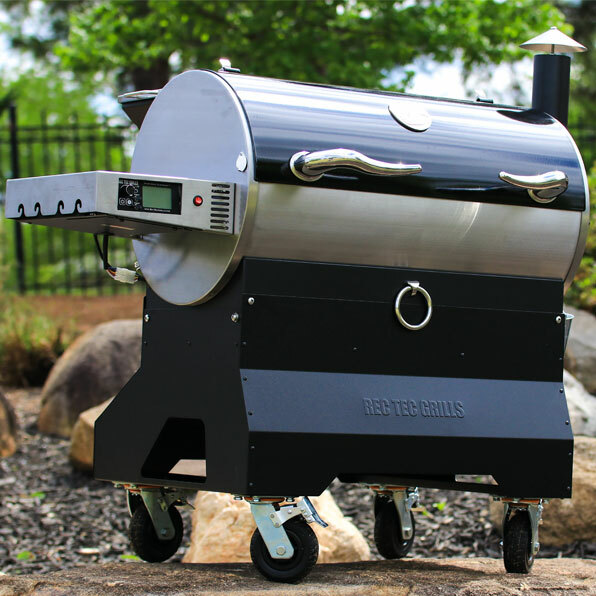 We now sell grills directly to our customers all across the United States. This direct to consumer approach allows us to produce a very high-quality product that can be purchased at a very reasonable price. 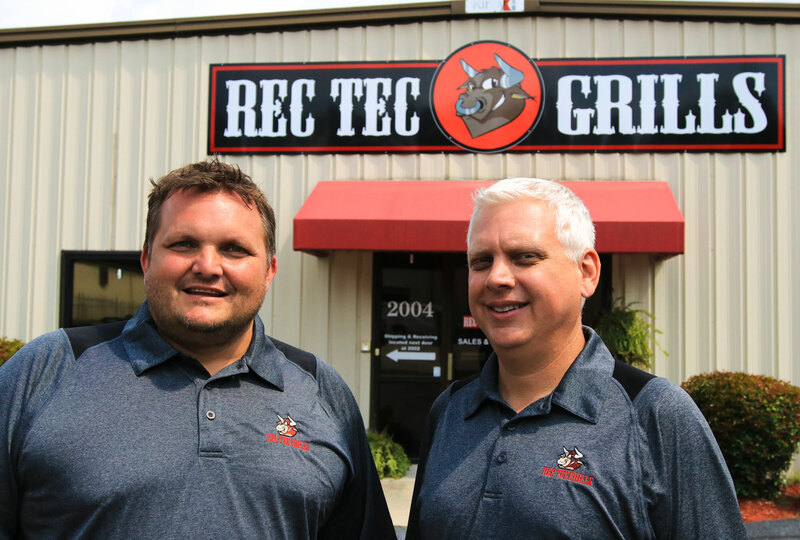 The REC TEC family, consisting of both our team and our customers, continues to further the story of REC TEC wood pellet grills, and for that...we thank you.